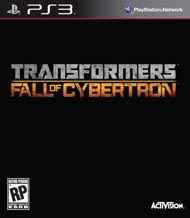 Gamestop has posted a pre-order pages for the sequel to Transformers: War for Cybertron. 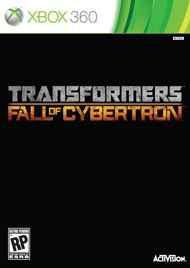 Transformers: Fall of Cybertron takes place at an unknown time after the events of the first game but almost seems like a prequel to the events that lead the war continuing on Earth. Gamestop currently listes the game as costing $59.99 with a release date of 12/1/2-12 but this could change. Of note is their description of the game which suggests that the Combaticons and their combined form of Bruticus will be a playable character. I would not commit to any pre-orders as probably there will be retailer specific character skins much like with the first game. Might as well keep your options open since the game is a year+ out. On a related note, High Moon Studios gave GameInformer a tour of their studios as they worked on the game. As part of that were posters of concept art including a look at Wheeljack, Swindle, Arcee, Shockwave and a new Megatron design. The video tour can be found here. Hopefully they meant of create and customize by picking either male or fembot transformer and choosing parts and weaponry of his/her character. Also besides the characters from behind the scenes video and the recent post, who else for this sequel? I can't name it all with obvious or unpredictable answers with the game in current production right now. Time will tell. I got excited and thought that was Sunstreaker next to Wheeljack for a second, but the purple lights and yellow eyes would indicate it's a decepticon. I know Swindle is in this game since the combaticons and Bruticus are but that concept are looks similiar to the Drag Strip concept art they did for WFC...google image it, looks slightly modified. Since Breakdown and Dead End were characters last time perhaps all of the Stunticons are in this as well.